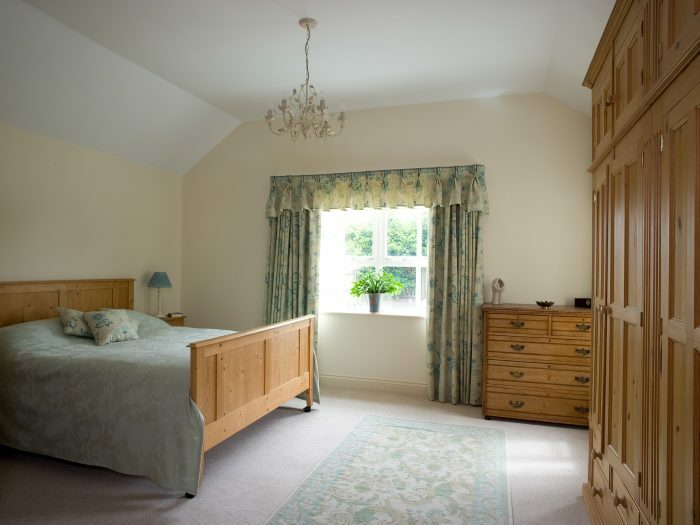 Made to Measure Curtains can have a wide variety of options to complete the style of the room or personal choice of the client; from elegant curtains hung from a painted wood pole to sumptuous silk swags and tails. 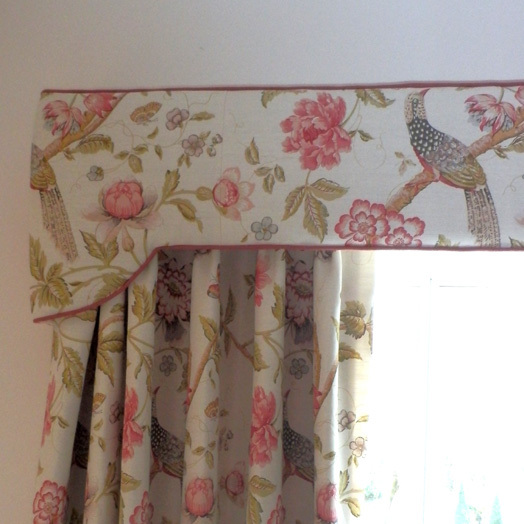 I can make your curtains to your exact requirements. Curtain poles are a decorative, versatile curtain fitting, suitable for all types of rooms and windows sizes. 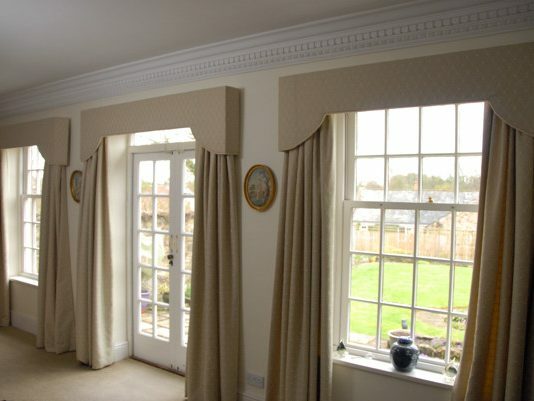 Swags and tails are the ultimate way to dress a window, creating a grand treatment that is suitable for most rooms. 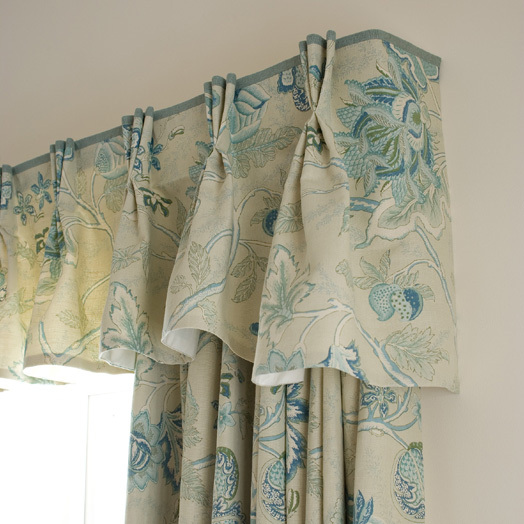 Valances give a soft finish to a window treatment. 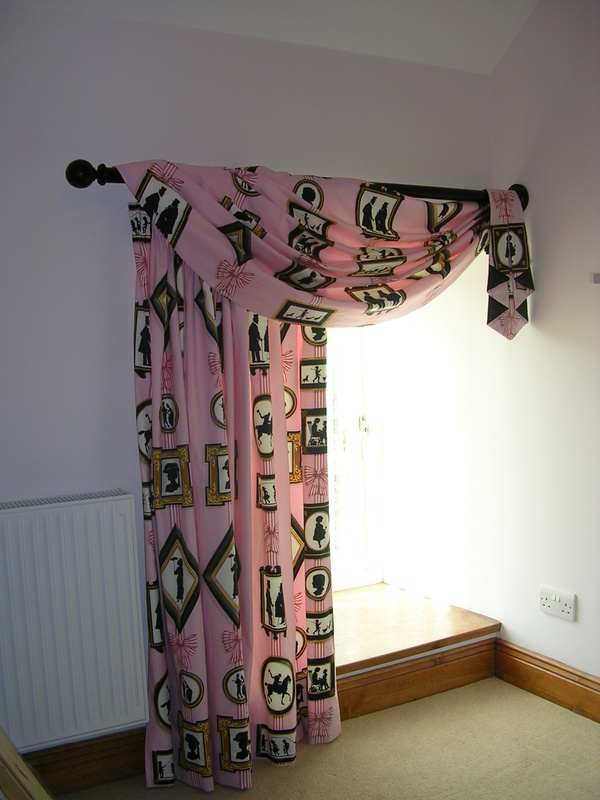 A pelmet is a fabric covered board and is an excellent way to show off printed fabric. Interlining is the ultimate finish for curtains as it creates a luxurious and sumptuous finish together with improving the drape and increasing heat conservation and reducing drafts. 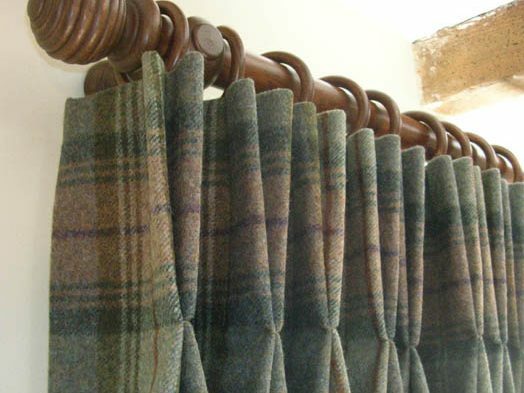 Interlining is a thick or thin cotton fabric sewn between the curtain and the lining fabric. 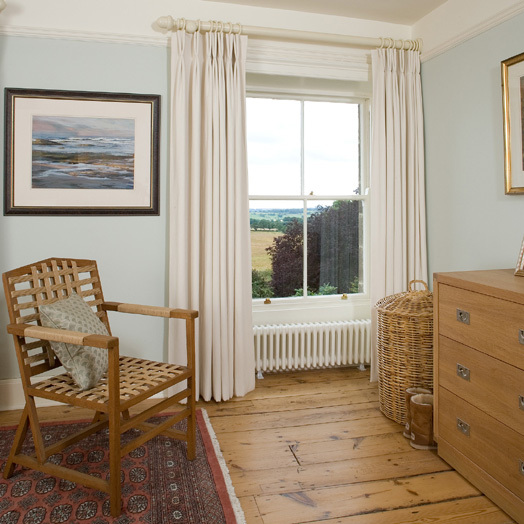 Roman blinds can also be interlined and also have a blackout lining. I have a range of over seventy different coloured lining fabrics, in addition to a wide range of blackout lining fabrics. If you have an inquiry or wish to arrange an appointment for me to come and see you, please telephone.